More efficient search and rescue. ADS-B’s GPS-based surveillance provides more accurate information about an aircraft’s last reported position. This is because ADS-B Out avionics transmit data approximately once every second, compared to a ground-based radar’s sweep rate of 3-15 seconds. New Garmin GTX 345r ADS-B transponder. 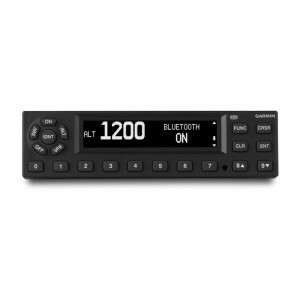 It integrates right into our GNS 430 display and has wireless connectivity to portable devices using Garmin Pilot, ForeFlight or compatible Garmin portable. For more information, check out Garmin’s page on the GTX 345. Or click here to learn more about ADS-B.